If you're about to fix your car, make sure you stick to certain safety rules to not only protect your beloved wheels but also your own safety! Check the tips below! 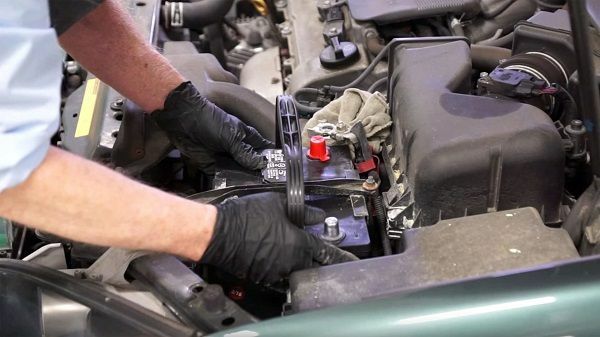 Repairing a car may seem an easy task to you especially when you have this magical hand. You may also be a renowned car expert and have lots of people trooping into your workshop daily because of your skills in proffering solution to any kind of mechanical problem. Do not forget that despite all these, it is very important for you to understand the safety procedure to avert mishap or any unfortunate occurrence right at your workshop that will cut short your illustrious career. These rules also apply to those who intend to repair their vehicles at their homes. Naijauto – your No.1 automobile portal in Nigeria has identified 10 simple rules that will you keep safe every time you start working on a vehicle. 1. You do not want to smoke while working on a car. It is wrong and such practice should be stopped to avoid explosion or any other form of mishap. 2. Make sure you check the wheels of the car you are operating on for lock before you embark on lifting the car up by jack. 3. Do not work on hot engine. It will burn any part of your body that touches it. Ensure that the engine has cooled off before working on it. 4. You can only leave the engine running only when necessary. Otherwise, you need to power off the engine and put your gear at neutral or park position. 5. To avoid electrical shock, make sure you use insulated tools to work on electrical components. 6. Dress appropriately for repair. This means you should not be wearing ring, necklaces or other body accessories while working on a car. 7. Protect your body from exposure to toxic chemicals such as coolant. If possible wear face mask or goggle to protect sensitive places in your body. 8. In case of minor fire outbreak, having your fire extinguisher will quickly help in cut shorting any form of escalation or fire outbreak. 9. Make sure your garage is well ventilated. This implies allowing sufficient air to gain access to your workshop. If there need for you to open window to do, please do not hesitate. 10. Always have your first aid kit handy at your workshop in case of minor injury. >>> Click here for more car maintenance tips.